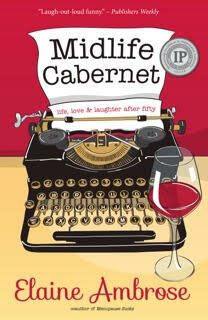 Midlife Cabernet – Life, Love & Laughter after 50 won First Place in the Nonfiction eBook category from a recent competition sponsored by the North American Book Awards. The program honors distinguished authors and books from across the United States and Canada. Awards will be presented at a gala reception Friday, November 13 in Boise, Idaho. Publishers Weekly wrote that the book is “Laugh-out-loud funny.” Foreword Reviews wrote that Midlife Cabernet is “an argument for joy.” The eBook is on sale for $.99 on five online platforms: Amazon.com Midlife Cabernet, Barnes & Noble Midlife Cabernet, IBooks/ITunes, KOBO, and Google Play.